It's Sunday. 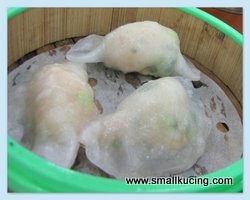 Are you planning to have Dim Sum with your family? 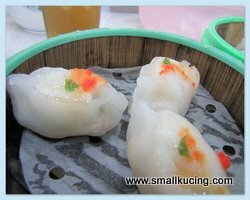 Back in January, Papa brought us to have Dim Sum at this famous Dim Sum restaurant in Damansara Jaya. The place was pretty clean and well kept. 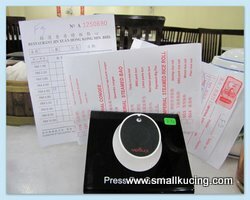 There was a buzzer sort of thingy at the table for us to press when we needed service. Naughty me. Went and press it a few times without reason. Mamarazzi was hungry so she ordered their glutinous fried rice. Not to her expectation as it was quite oily and not warm enough. I don't want also la. 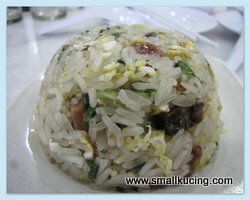 Papa love glutinous rice. Let Papa finish it. 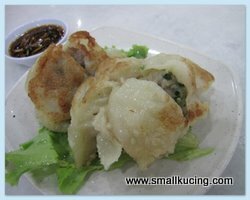 The skin of the Fried Dumpling was rather thick though the meat inside was okay. Same goes for the steamed dumplings. I had a bowl of porridge. I like the crunchy 'bihun" on top. The porridge it self was a bit salty for Mamarazzi but Papa had a taste seems okay aje. Different people have different taste buds. 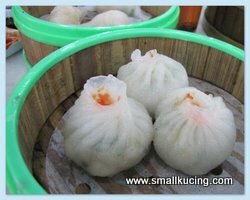 It was very funny to see how Papa and Mamarazzi ate these Siu Loong Pau. 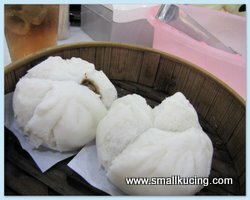 There is soup inside the Pau and the skin was rather thin. One wrong move and the soup would burst out. Well, two burst... hahahaha. Char Siew Pau(BBQ Pork). Mamarazzi really love the skin of the Pau. 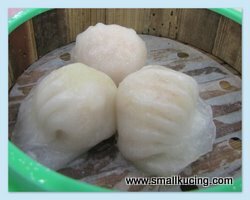 Don't why the skin of the Pau that she made won't burst out like these. These were pretty fluffy. This Siew Mai was real good. There were some medium size prawns in it. Hmmm....guess Auntie CC can't eat this lor. 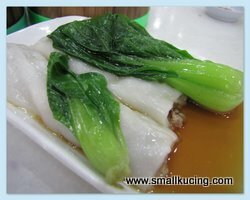 This is another Dim Sum that both Papa and Mamarazzi liked. It was Scallop Dumplings. Har Gao(Prawn Dumplings) were good too although Mamarazzi would preferred if the skin was thinner. This one tasted ok. Don't know the name. Mamarazzi likes the tea here. It's very fragrant unlike some other restaurant. Please bear in mind, all these are our personal opinion and taste. As each person is born with different taste, you will have to pay this restaurant a visit to decide if you like the food here. Here is the address : 59,61 and 63 Jalan SS22/19, Damansara Jaya, 47300 Petaling Jaya. I am so hungry for dinner right now...you are killing me! haha, "Naughty me. Went and press it a few times without reason." So cute. I don't know about this dim sum place. MMM.... got to go there one of these days. Hi SK, nice pics. We live across from 2 big Chinese restaurants serving dim sum. But since here hardly go for it. I guess due old days eating it almost daily with my contractors till today no longer keen on it. Gosh! You guys sure live to eat! this dimsum shop quite famous one woh..
but i've only been to the one in old klang road lah..
the dimsum really not bad at all woh.. but then nothing really makes me shout lah..
hmm, talking about dimsum, really have not been having dimsum for quite some time already..
Oh yes my friend recommended me this restaurant too. Indeed I passed by the restaurant many times, but never dine in. 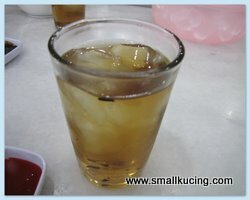 I think I have been to this place long time ago during my stay in PJ. Seems like some was worth the try and others were so so. I agree with you that we have difference preference not only for food but the taste that comes with it. 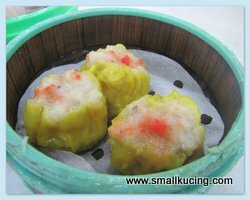 I did enjoy the dim sum dishes with of course my fav of yam fried dumplings.